•In a jar, mix and shake well all of the dressing ingredients. •Cook the orzo according to the package. When done, rinse off the orzo in a strainer with cold water. Drain the water off of the pasta. •In a bowl, mix the orzo with the salad ingredients and dressing. •Season the shrimp to taste. •Spray the foreman grill or saute pan with olive oil cooking spray. •Cook for 3-4 mins on both sides until done. 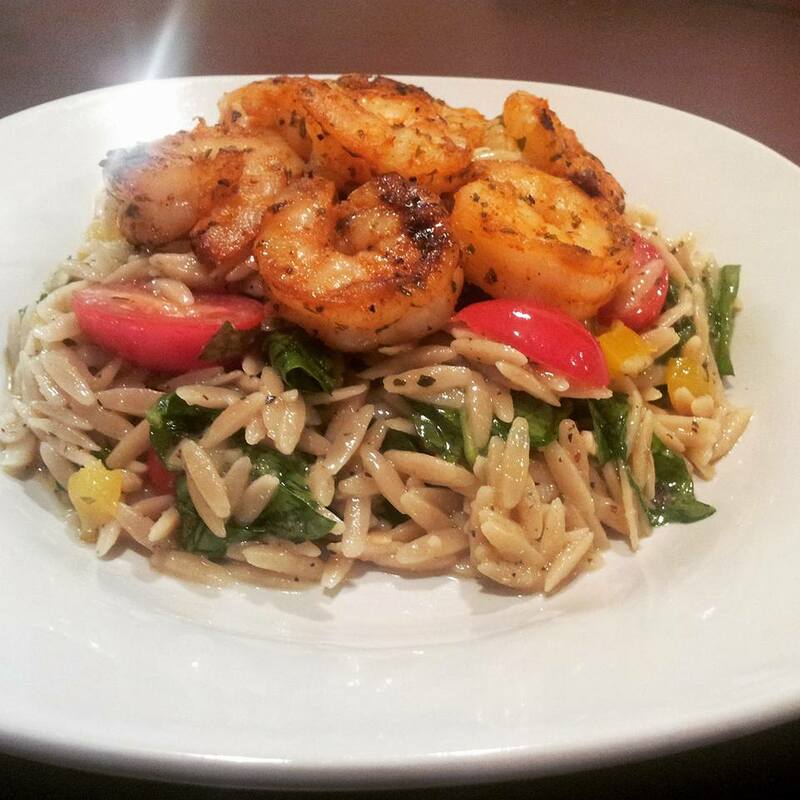 •Place the orzo salad upon the plate, then top it with the grilled shrimp.